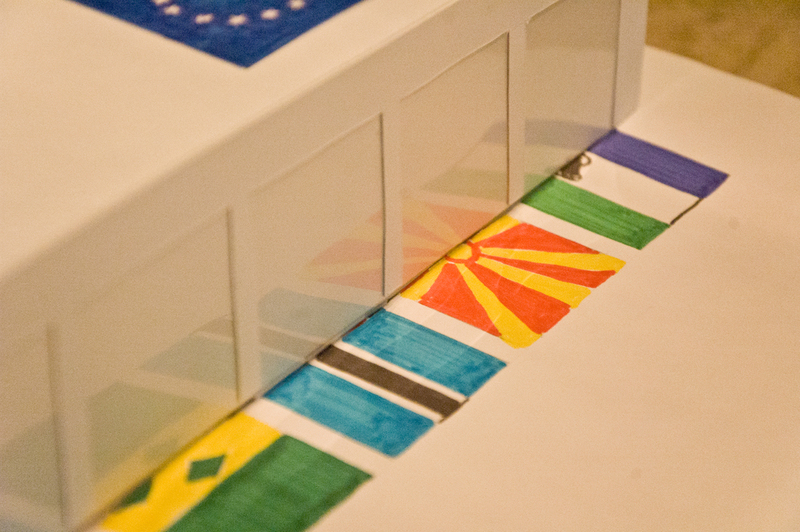 Anyway, here is a hand-drawn, pop-up book featuring all the flags of the world, circa 2010. 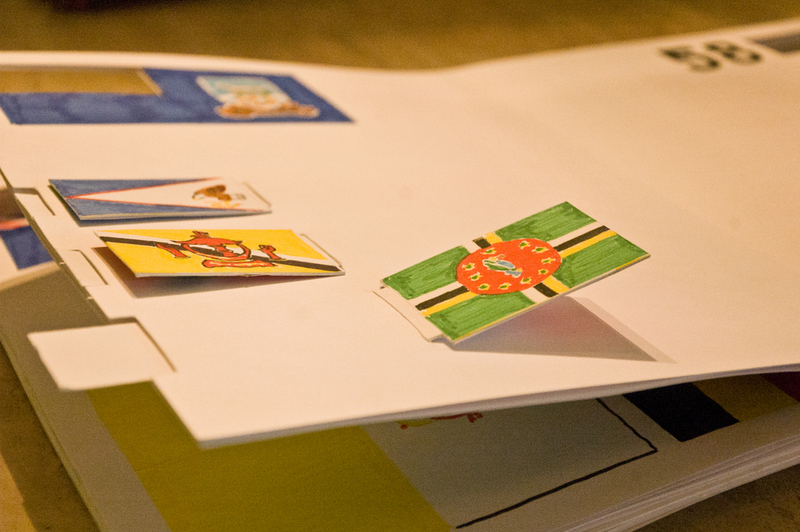 You can draw your own flag on the cover with a dry-erase if you're inspired. Since the book was created in 2010, the political world has changed a little: a few flags were added, one was changed, and some were removed. A companion site will help readers discuss and learn why all the Scandinavian flags have the same template or why a lot of African flags share the same colors.